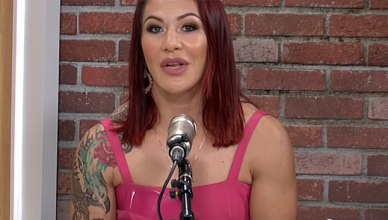 Cris “Cyborg” Justino (born Christiane Justine July 9, 1985), commonly referred to as Cris Cyborg is a Brazilian-American mixed martial arts fighter. She is currently signed with the Ultimate Fighting Championship (UFC). 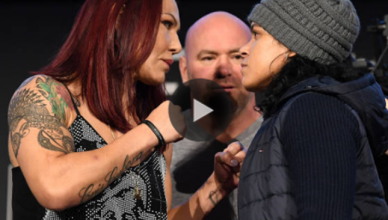 Cyborg is the reigning UFC Women’s Featherweight Champion, as well as the former Strikeforce Women’s Featherweight Champion. Additionally. she is also the former Invicta FC World Featherweight Champion. 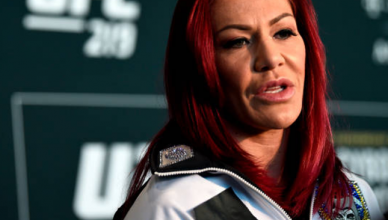 Cyborg also shares her nickname with her ex-husband Evangelista “Cyborg” Santos. 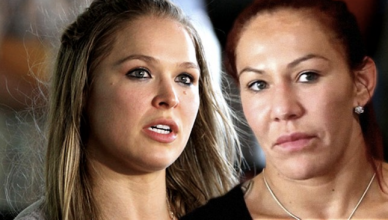 Cyborg is universally believed to be the best female fighter to ever compete in MMA. Additionally, her MMA record is nearly unblemished, having not lost a fight for well over a decade. “It is an honor to return back to Curitiba and fight for my friends and family, many of whom have not gotten a chance to see me fight live since my first fight over 10 years ago. 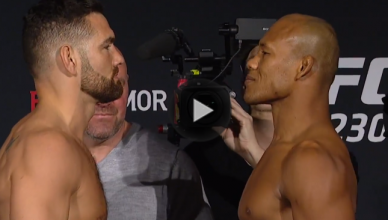 The fact that it also happens to be in the UFC in front of 50,000 fans will only add to the excitement.” said Cyborg.